Facebook has been crazy with back-to-school pictures the past week. Our kids still have a couple weeks of freedom, but we’re knee deep in school supply shopping, orientation, pictures, fall sports, and everything else the new year entails. High schoolers wear their “class of” label with pride, and this little tag charm hand-stamped with graduation year is the perfect accessory for a new freshman. 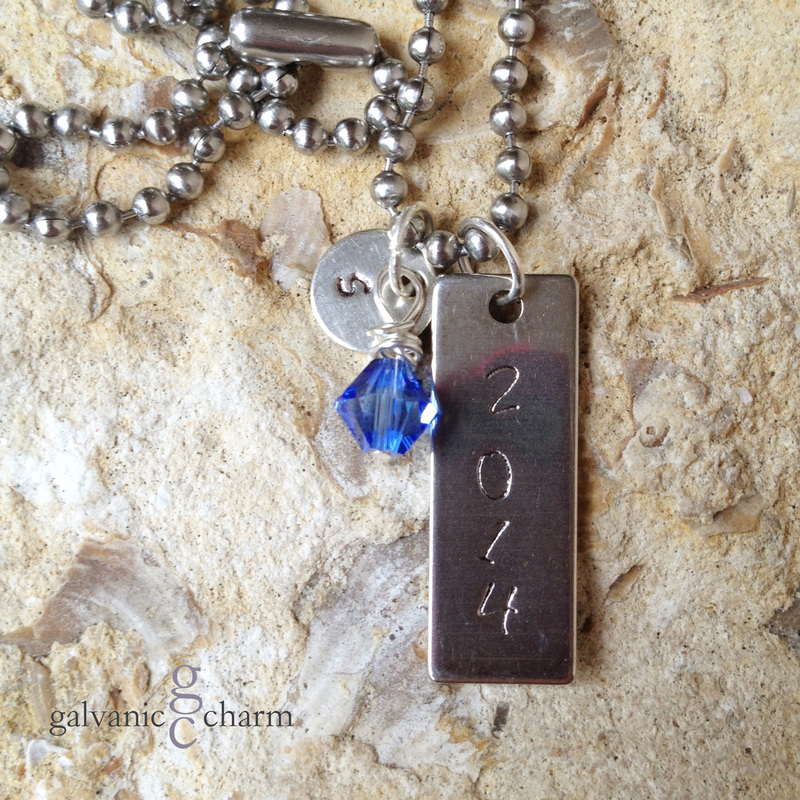 Personalize with initials of your name or school, and a crystal drop in the color of your birthstone or team colors! Order on Etsy or just drop me a comment or email! CLASS – Personalized necklace, hand-stamped with 1″ stainless steel tag and initial disc, and wire-wrapped Swarovski crystal birthstone drop. Stainless steel ball chain. $22 as shown.